It’s time to come together on these issues, and pro-lifers are making it happen. Throughout the 2012 presidential campaign, abortion has continually risen to the forefront. No longer is the economy the only issue discussed. Wars in foreign countries, international politics, the educational system, health care, and other common political issues may be no less important in the public eye, but it has become nearly impossible to sidestep the issue of life this year. President Barack Obama has been called out for his video supporting Planned Parenthood. Mitt Romney has been questioned for his notable absence at pro-life primary debates. 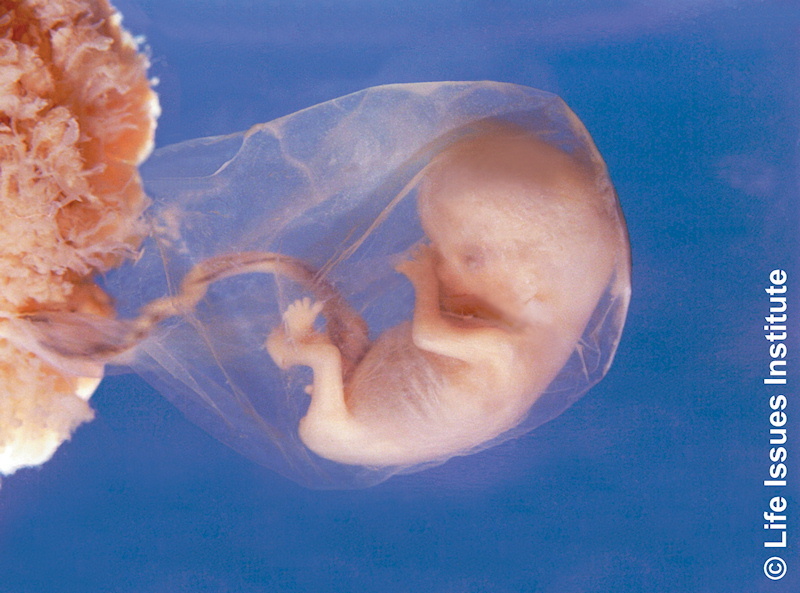 Newt Gingrich was called upon to clarify his stance on when life begins. The list could easily go on. What does this mean for our nation? Why, suddenly, has abortion become a major talking point? It seems that there are many speculative possibilities, but no certain answers. Was it the rise of the Tea Party? The prevalence of pro-life ballot initiatives (think Personhood in Mississippi in 2010) and pro-life legislation? Could it be that the cumulative efforts of the pro-life movement have given us a national voice? Perhaps the rise of this issue could be traced to the widespread message of the pro-life world: we have Lila Rose investigating Planned Parenthood and motivating Congress to do the same, Tim Tebow and his mother speaking out about their personal story, Ray Comfort’s 180 movie spreading like wildfire on YouTube, and even Justin Bieber and The Hunger Games hinting at a pro-life message. Regardless of how it has happened, the abortion debate has claimed its rightful place at the center of American politics. While it is easy to point to Barack Obama’s pro-abortion record and close relationship with Planned Parenthood, many Republicans continue to question the legitimacy of Mitt Romney’s change of heart. A central issue to many seems to be what kind of Supreme Court justices the next president will appoint. These may prove to be the very justices who will uphold or strike down Roe. Clearly, there is reason for concern, investigation, and debate. Twenty-twelve is the year to stand up for human rights. The pro-life movement has effectively cultivated a different perception that has reached even as far as Hollywood. For some time, pro-lifers were viewed as radicals, extremists, and a fringe group. While some still hold to this inaccurate and prejudiced view, pro-lifers have been doing a better job of messaging ourselves. It is becoming more clear that we stand for equal rights, basic human dignity, justice, and peace. We are a nonviolent movement that cares deeply about the welfare of mothers, fathers, and children – those born and unborn. The Associated Press reported yesterday on abortion as a resurgent wedge issue in America today (emphasis mine). Another difference: Acceptance of gays is now a given in popular culture … There’s no equivalent embrace of abortion rights in Hollywood’s products; films depicting unintended pregnancies generally opt for a birth. “It’s harder to get out and advocate for abortion,” said Tony Perkins, president of the conservative Family Research Council. Abortion must continue to divide us – in this election and every other – until we are all united for life. Human rights activists cannot give in to the murder of innocents. We ought never to be completely satisfied with compromise. We are called to give our whole selves to this fight; we are called to speak out on behalf of and protect the weakest among us. We are their voice, and we can never allow our own silence. Throughout history, human rights issues have divided cultures and nations – including this one. As the video below, made by Pro-Life Wisconsin, aptly illustrates, abortion is the human rights issue of our day. Let us work with all of our hearts, minds, and strength until it divides us no longer.